Happy Monday! Before I get to my awesome interview, there's a few things I wanted to share with you that you might be interested in. First, Darcy Pattison is organizing a Radom Acts of Publicity week September 4-7 to promote other authors' books. I'm planning on participating. You can find out details here. Darcy also recently posted the top ten agents for middle grade authors based on sales here. And DearEditor is running a contest for a free manuscript critique that ends TOMORROW at midnight. I just heard about it. You can find out details here. And before I announce the winners of my Last Days of Freedom Giveaway, I want to say WOW! There were almost 300 entries. Congrats to all the winners. E-mail me your addresses so I can send you your books. Please e-mail me within 48 hours or I'll have to pick a new winner. Today I am thrilled to help Meagan Spooner celebrate her debut as an author. Her debut book, SKYLARK, was released on August 1, 2012. Fantasy is my favorite genre and dystopian second. One of the things I loved about Meagan’s book is that it’s mostly fantasy but has a touch of dystopian. It’s a great combination in Meagan’s world building. And Lark is such a great character you can’t help cheering on when she finally gets her turn to be harvested and finds out what it really entails. The plot is fast paced and has a number of twists. I ended up staying up way too late one night to finish it and was so tired at work the next day. But it was worth it. Hi Meagan. Thanks so much for joining us. 2. That's so awesome you've been able to make it a full-time job. Guys, wait to read Meagan's publication story. It's so amazing. I loved that you mixed fantasy with dystopian elements and this came through even in Lark’s magical powers. Share with us a bit how you came up with the idea of the magical powers in your story. I’ve always tended toward writing multiple genres in the same story, so I think the genre mash-up in SKYLARK has always come as a bit more of a surprise to other people than to me—to me it just feels about normal! The idea of using magic to power technology came from thinking about alternative energy sources in connection with our own energy crisis. If only we had magic! But the truth is, Lark’s universe is no different from ours. Mankind exploited the resources there, as well, which is what led to the post-apocalyptic landscape Lark travels. 3. That's so cool that the idea came from alternative energy, something from our world. I’ve read that Lark’s hometown is patterned after Washington DC. How did you decide on Washington as a setting and what was your process of crafting that into your own city? Normally my settings are as exotic as I can possibly manage—I travel a lot, and that always influences my writing. But I’ve lived just outside of Washington, D.C. for almost my whole life, so it was a bit of a surprise when I realized I wanted to use my home as the setting for this book. But the nature of the dystopia in which Lark finds herself at the start of the book all has to do with knowledge and information—the rulers of her city are called architects, because they are descended from those who built the Wall enclosing the city in the first place. They keep all scientific knowledge in trust, believing that society isn’t ready for it yet. When I figured that out, I knew I wanted to base the Institute of Natural and Magical Philosophy on D.C.’s own Smithsonian Institute, one of my favorite places of all time to explore. Only while our Smithsonian Institute is all about sharing the wealth of human knowledge, Lark’s Institute is about the retaining and concealing it. 4. All your characters—Lark, Oren, and even Nix (I really liked Nix) are such unique characters. Who was the hardest character to develop and how did you overcome any challenges in writing about him/her? I found Lark to be the biggest challenge, strangely enough. She had to start off unprepared, naïve, and even weak in many ways. I knew she couldn’t start off as the same ultimate badass so common in YA literature these days—I adore those kinds of characters, but it just made no sense for Lark, a girl who’s lived her entire life inside a sheltered dome, with no aspirations beyond growing up and fitting in. So I had to constantly fight the urge to make her stronger and more competent than she had reason to be, in the beginning. Once she began to learn, though, it was so much fun letting her grow up in this wilderness she’d never imagined—because she becomes strong, discovers that she’s been strong all along. I think that discovered strength ended up being ultimately much more rewarding for me, as a writer, because it was so hard-won. 5. That's a hard balance to have her start out weak but still be sympathetic instead of whiny. You did a fantastic job with that. I know you write full-time. Have you always written full-time and what advice do you have for staying productive, which you definitely are? But all this comes of having trained myself to work steadily, every day. While writing SKYLARK I wrote at least 500 words a day, every day, no matter what. The daily count was low so that it wasn’t intimidating—you can knock out 500 words in 15 minutes if you’re really cooking. The point, though, was that it got me in my chair, got me in the writing headspace. Usually I ended up writing closer to 2500 words a day, because 500 was enough to get me going. 6. I can't imagine working on so many books at once. That's a great idea to write 500 words a day. I need to try it. Josh Adams is your agent. I read how he became your agent and it’s an amazing story. Please share it with us. I nearly didn’t query Josh, because right around the time I was sending out queries, I read about a big, highly-publicized deal of his, whose blurb sounded an awful lot like SKYLARK. I was pretty inconsolable for a while, but eventually I decided to query him anyway, because for all I knew it was a sign he just liked that kind of book. And I was right! And now, in hindsight, having read the book in question, it’s actually not that similar to SKYLARK at all, except in bare bones premise. I ended up with multiple offers of rep, including one from my then-dream agent. My mind was made up before Josh even called me. But after I spoke with him on the phone, it was like my world had turned upside down. I hung up the phone knowing I wanted him to represent me, and it was a bizarre experience to have to turn down the person I’d considered for months to be my dream agent! But I couldn’t be more glad I made the decision I did. 7. Wow! That's so awesome you already could have gone with another dream agent and picked Josh. I'd love to have Josh Adams as my agent too. Now onto even more amazing info about you. So Josh became your agent in 2010. Besides having your first book released this month, you’re under contract to finish this trilogy and under contract for a sci-fi trilogy starting with THESE BROKEN STARS you co-wrote with Amie Kaufman to be released in 2013. Tell us how that all happened. Well, SKYLARK happened the normal way (as much as there is a “normal” in publishing). Queries, agent, subs, editor, publisher, book deal. But I was living in Australia with Amie at the time I was writing SKYLARK, and so she was a huge part of the process, supporting me through all the ups and downs. We’ve always written together over the 6+ years we’ve known each other, but never before with any intention of making that writing public, professionally or no. To us, our projects were always play—we called them “sandboxes,” because it really was just for fun. But once SKYLARK sold we realized that the current “sandbox” we were working on could make a great novel. So we quietly embarked on that together, and sent it to my agent and his wife and agency partner. They loved it, and Josh’s wife Tracey read one of Amie’s solo books and loved that too, and offered her representation on the spot. Barely a few months later, we had a book deal for THESE BROKEN STARS too. The two three-book deals came roughly six months apart. And to be honest, I’m still reeling a bit from that. 8. That's so amazing how it worked out for book 2 for you and both books for Amie. What advice do you have for aspiring authors who may not be having as great a road to publication as yours? Don’t stop. Someone somewhere (and let me know if anyone knows who) once said that published writers are only unpublished writers who didn’t give up, and I firmly believe that. Writing is not a choice—it’s a compulsion. I think there are a lot of aspiring authors out there who want to have written—they want to have been published, and everything that goes with it. But the actual writing part isn’t as necessary, and I think those are the people who might be more tempted to give up. But for those people who can’t imagine a life without writing, for the people who’d write even if they were locked in an empty room with only their fingernails and the wall plaster to work with? Just don’t give up. Because you’re meant to do this. And in the end, it only takes one. One agent. One editor. One book to break through. 9. Such inspiring advice. You've got me convinced that I just need to keep writing. What are you working on now? Officially, I’m working on revisions for SHADOWLARK, book two of the Skylark Trilogy, final line edits for THESE BROKEN STARS, and writing the first draft of TBS’s sequel. I’m also working on a secret SKYLARK-related side project as well. And just so that I keep busy, I’m also working here and there, whenever I can and whenever I have time, on a Beauty and the Beast retelling that I’ve been playing with for years in the time I have off from my contracted work. I love the story so much, and I can’t wait until that one’s finished. It does have to take a back seat to everything else, though. Thanks so much Meagan for sharing all your advice and about your journey as a writer. I can't wait to read all your upcoming books. And guys, I already got Meagan to agree to come back with Aimie for an interview when THESE BROKEN STARS comes out. 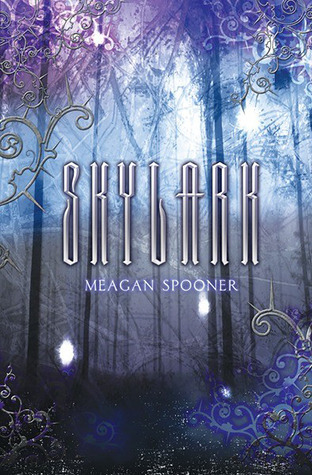 Meagan generously donated a signed copy of SKYLARK for a giveaway. To enter, all you need to do is be a follower (just click the follow button if you’re not a follower) and leave a comment by September 15th. I’ll announce the winner on September 17th. If your e-mail is not on Blogger, please list it in your comment. International entries are welcome. Wednesday I'm participating in Patty Blount's blog tour and giving away a copy of SEND, a contemporary novel about bullying told from the perspective of the bully. It sounds really good and I'm excited to share it and Patty's guest post with you. On Tuesday Tips tomorrow, Richard Due will share self-publishing tips and a giveaway of a print version of his middle grade fantasy THE MOON COIN. I'm really excited to share this with you because it's gotten good reviews for the story and the illustrations by Carolyn Arcabascio. I'm hoping some of you and your middle grade kids would enjoy his book. Next Friday, I'm participating in Jessica Shirvington’s Blog tour and giving away an ARC of her new book ENTICE.I can't wait to share it with you. Nice interview :) I think Skylark is interesting, can't wait to read more. About that quote, I've seen it attributed to Richard Bach. But worded this way: "A professional writer is an amateur who didn’t quit." Funny thing is, even though a search for that quote with Bach's name gives over 47,000 hits, one of those pages is his own, called "Famous Quotes I Didn't Write." I’ve quoted that line at talks I’ve given, said it was from Samuel Johnson. Then I had a doubt about that, as it sounds a little modern for Sam. According to Google, the person who said it was…me! I didn’t write it. Who did? For the version you gave, “The only difference between a published writer and an unpublished writer is that the published writer didn't give up,” one teacher, in a blog comment, says it's from Elaine Fantle Shimberg, who did write a book on freelancing. But she's the only one who gives credit to Shimberg, and I can't search Shimberg's book online, so the mystery remains. So it was known even then, and that’s how Bach got stuck with it. Your version, though, just might have cracked the case in that it could have been Shimberg after all. From her 1979 book, How to Be a Successful Housewife Writer: "I am firmly convinced that the main difference between a published writer and a nonpublished one is that the published writer didn't give up." Wow, you rock for looking into this for me! And yeah, this is definitely the version I heard--"unpublished" rather than "amateur." Cool! This saying is one of my favorites! 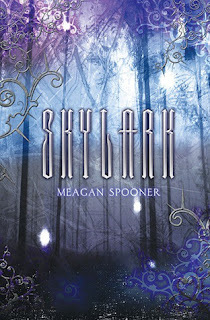 The cover of Skylark is gorgeous! Congrats to Meagan, and thanks to Natalie for sharing the other links too. Oh my gosh...loved this interview. And you are following in the footsteps of Ray Bradbury who said to do exactly what you are doing...writer. everyday. Your book sounds amazing..thanks for sharing. What a great interview and her books sounds great! I hope all goes well with her projects she's working on. I admire her for doing so much at once! SKYLARK!!!! I have been needing to get my hands on Skylark for months. It sounds like an excellent read!! I've heard so much (all great!) about Meagan's book and would love the chance to read it. I am SO excited to read this book. It sounds wonderful! Thanks for the great giveaway! I've been wanting to read Skylark for a while. Wow, what a great interview. Now I want to know who her dream agent was before Josh ;) I will be getting a copy of SKYLARK asap. Great interview! I love that she calls Skylark a genre mashup. I love books that cross over into numerous genres. Can't wait to read this! I would love to win this book! And this was a great interview! I just want to say, your book sounds amazing! I realize sadly you will not reply even though it would be an honor if you did! :) I will be trying to get SKYLARK though Im a bit short on money! :) Can't wait to read, if the book is won or not! So glad you enjoyed the interview Natashaaa. Glad you're excited about this. That cover is so beautiful! Great interview, and so cool to see how TBS came to be with Amie! Fabulous interview, Natalie. I love the questions you ask! Sign me up for the contest. Sounds interesting! Would love to win. Posted it on my facebook too. Thanks. I love how she fell in love with the agent who wasn't her dream agent, making him her new dream agent. Good luck, Megan, with all your projects. Thank you for the amazing interview and giveaway! I can't wait to read this book, it just sounds so good :). Great interview! I can't wait to read Skylark!!! Thanks for the chance to win! 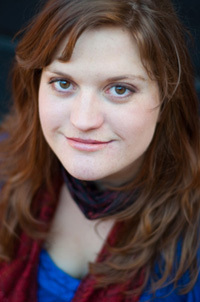 GFC follower as Carina Olsen. Josh must be one hell of a sweet talker for you to turn down your dream agent! I'm so happy for your publishing success and I look forward to TBS and you possibly coming back to Australia..? Congratulations Meaghan and Aimie! Wow! What a publication story! Josh Adams got a great package with you two. Meaghan, I love that you have magic as an alternative energy source. Clever. Natalie, this was a terrific interview. I look forward to when the two authors are interviewed together. Congrats Meagan. Your books sounds awesome. Loved your publication story. Thanks for the interview, it was great to get to know Meagan a little better. I'd be stoked to win a copy of Skylark. Sounds like a great book. Can't wait to read it! Thanks for the interview! I love Meagan!!! I have a signed ARC, but I would love a signed book. I would love to win a copy of Skylark. Thanks for another great giveaway! And congratulations to all those lucky winners. I'm looking forward to reading SKYLARK. It looks wonderful. I enjoyed the interview thank you. This book sounds great! I can't wait to read it. And thanks for the giveaway. WOW! You are one busy woman! Skylark sound great! Thanks for the good advice and the giveaway! Great interview! I can't wait to read Skylark. Oh my, she is so lucky to live near D.C. SO MUCH HISTORY! I'm salivating over it. Great interview! I need to adopt that 500 words a day lifestyle, but it's so hard with senior year and all. This book sounds amazing, I can't wait to read it.Thanks for the giveaway. I have GOT to read this book - premise sounds awesome, but I have to see how you kept pulling the reader along if you protagonist was . . . wimpy. Thanks! This book sounds amazing. I really enjoyed the interview and I loved hearing how she was able to write a book with someone else which really facinates me. Thank you! Meagan, this is exactly what I needed. Thank you. I've been looking forward to Skylark since I heard of it months ago. Next secret ninja plan - get my library to buy it. I've heard nothing but the highest praise for this book and it's on my wish list so I would love to be entered in the giveaway! Thanks so much! Ah! Thank you so much for the opportunity to win! I've heard nothing but priase for this one! Thanks for the great interview and awesome giveaway! Loved the interview! Thank you! I can't wait to read Skylark. It sounds amazing and I've heard such great things :) Thanks for the giveaway! This book sounds so intriguing. I'd love to win (and read!) it. Thanks! Count me in, Natalie--this one looks good. I tweeted. I've been hearing alot about Skylark, hope to read it. Sounds like a terrific read. Fingers crossed. Ooooh, I really like the blurb. You got my attention! Great interview! And thanks for the giveaway! Skylark sounds awesome!